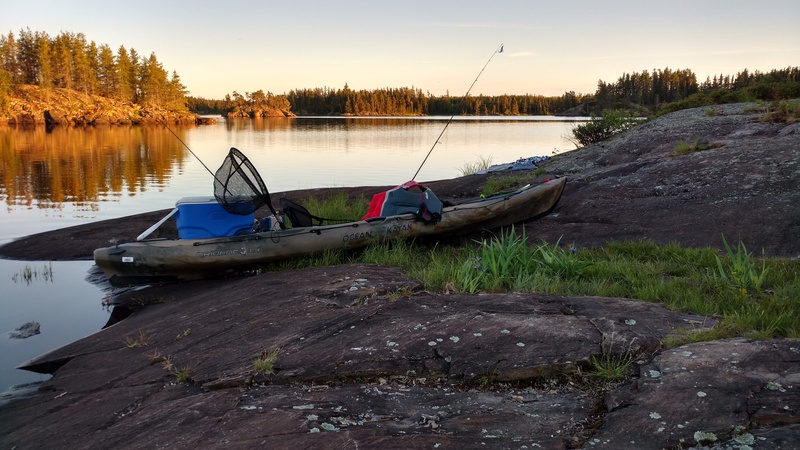 Yesterday I loaded up the kayak and headed out to the Red River, launching at a point just south of Selkirk to accomplish a goal I’ve had for some time now. 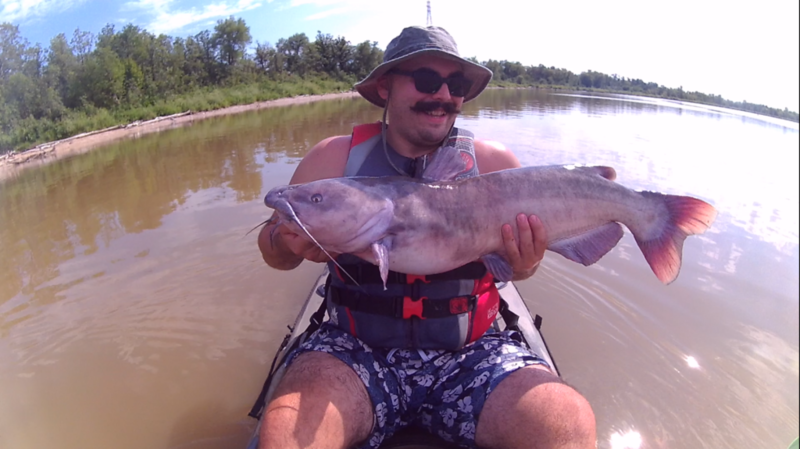 The Red River is known for it’s big water and bigger catfish, and it was one of these monster kitties that I was after. 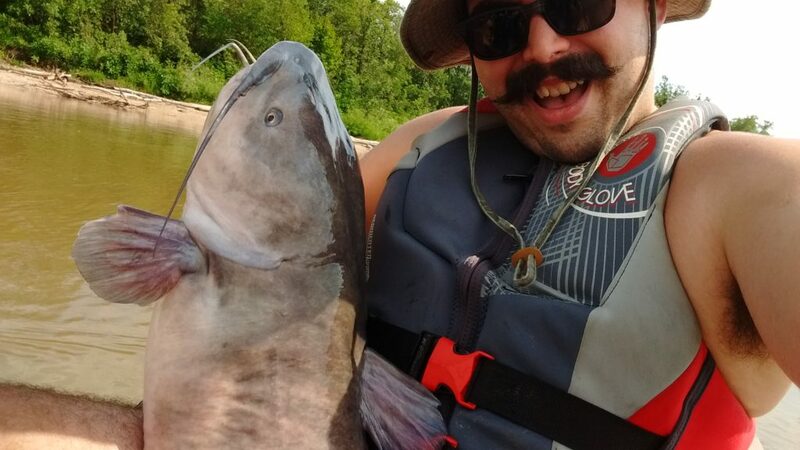 I specifically wanted to catch a master angler catfish and be able to land it on my kayak, preferably without tipping over. Although I don’t usually see many other people when I’m out in the middle of a weekday, I was still a little surprised that there was not a single other person in sight. It was nice having a whole stretch of the river to myself, and when the sun came out it was even quite scenic, which let’s be fair is not something usually said about the Red. I started out with my standard approach of a few casts in a few different depths, not staying in any one place for too long, but didn’t get a single hit. The current was pretty strong so after a little while I decided to pull anchor and drift along the shore for awhile, see if anything wanted to take a bite. I wasn’t really sure what depth I should be focusing on since I hadn’t been out for catfish yet this year, so I did the smart thing and texted the old man. 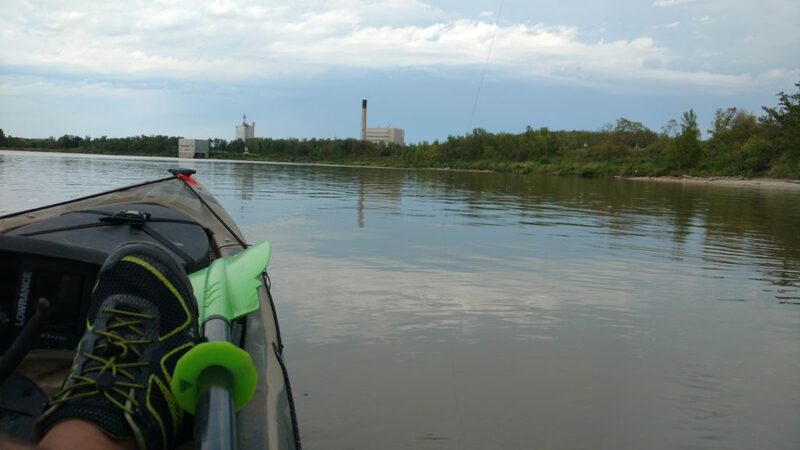 He tipped me off to a likely depth so I found a nice gravel flat right near the middle of a bend, anchored at about 11 feet and dropped in my line. It only took about 5 minutes in this new spot before I missed a bite and had my bait stripped. I figured that was a promising sign, and it was only a matter of a few more minutes before I was hooked into something heavy. The old man still knows a few things I guess! I could tell right away that I was on a big kitty, and I could hardly believe that I might meet my goal so quickly. 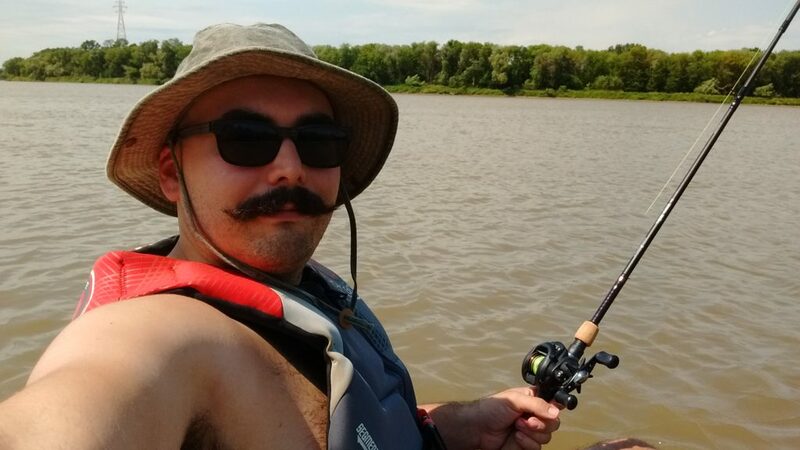 It took me a solid 7 or 8 minutes of reeling to even get it close to the kayak, and just about the point it’s head finally broke the surface, I realized that I didn’t have my net. This was going to be interesting. Hi there! How do you wanna do this? I wasn’t quite sure how I was going to hold the thing, and it wouldn’t come close enough to me for any length of time for me to figure that out. I came up with a backup plan, pulled anchor and headed for shore. 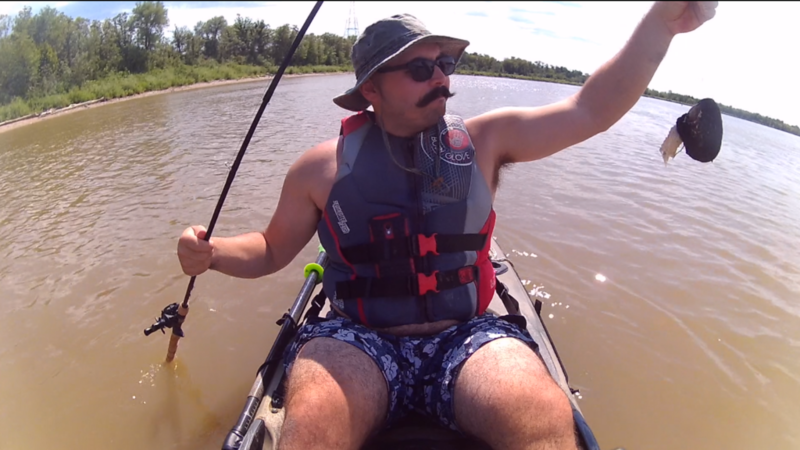 After hopping out and almost losing my kayak to the current, I dragged the fish out of the water and finally got a hold of it. It was a sloppy landing in all respects, but it was well worth the struggle as the fish was a solid 36 inches. 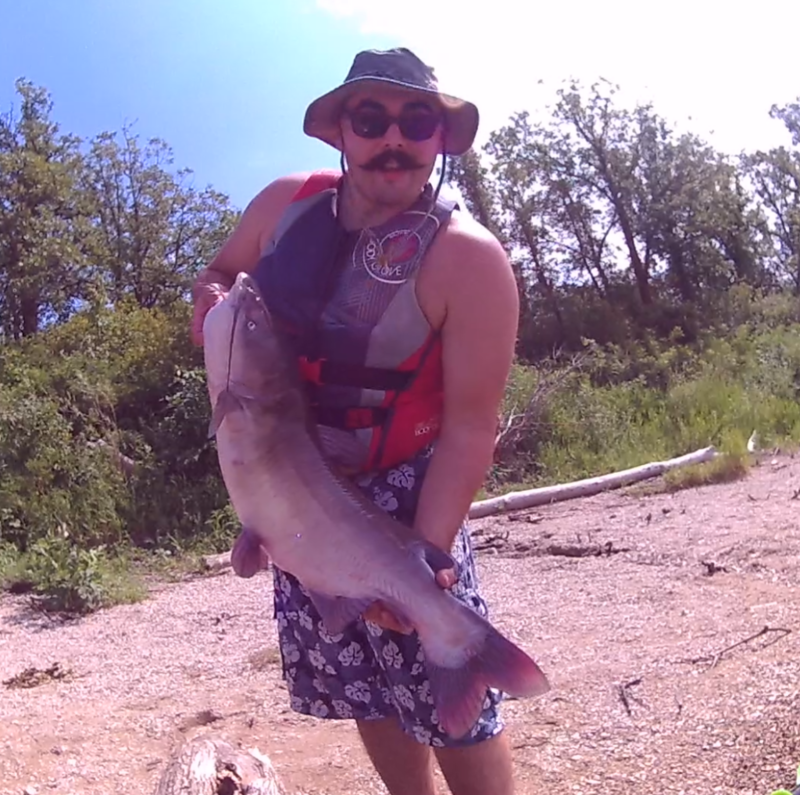 My goal was not just to catch a MA catfish though, I’ve done that plenty of times on the Red. 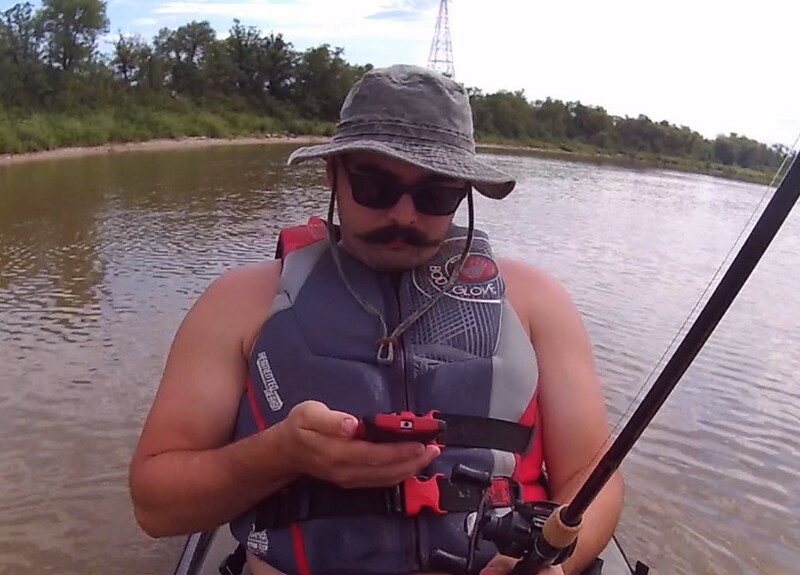 What I was really aiming to overcome was the challenge of landing it on the kayak, and without my net that was going to be even more difficult. I was encouraged by this first catch though and came up with a plan for how to grab and hold on to the next one. 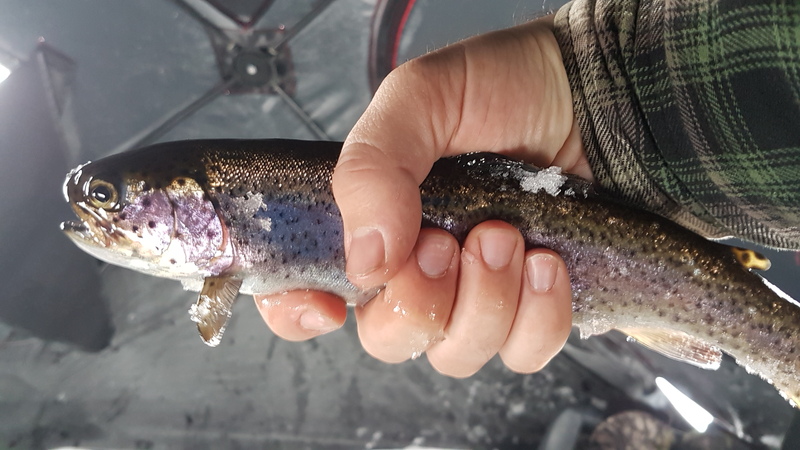 I anchored in the same spot and after missing a few bites, soon enough I had another one on the line. I could tell that this one also had some weight to it and I dug in for a fight. It was another round of frantic reeling and hauling on the line before I got a glance at it and several long minutes more before it actually came close enough to grab. I finally got my hand under it’s head, got a hold of it by the gill and with a bit of struggle hauled it up onto my lap. 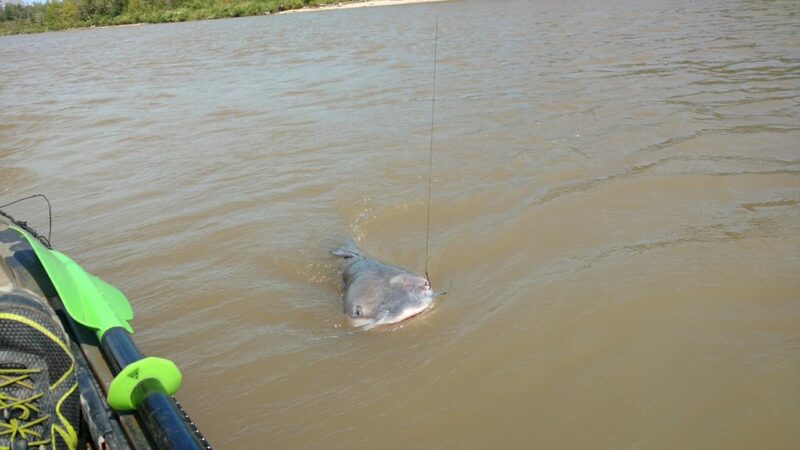 It was another master angler coming in at 35 inches and around 35 pounds. Mission accomplished! Now that’s what I’m talking about! 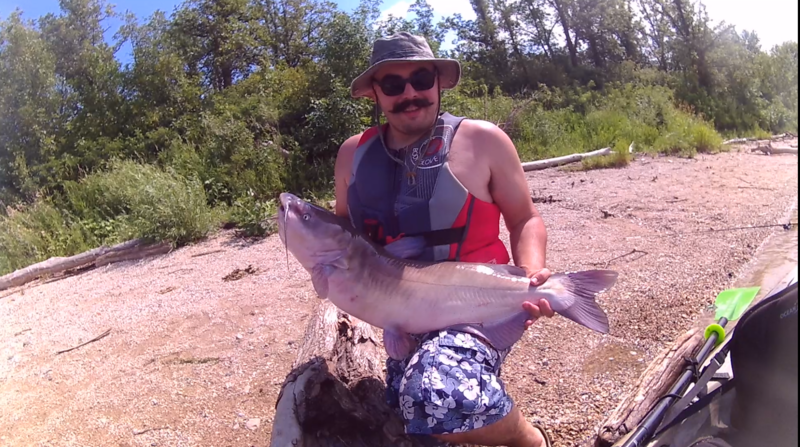 Nothing quite beats that feeling of setting out with a very specific goal and actually accomplishing it, and I accomplished this goal with one hell of a catfish. I landed a couple more catfish over the next couple hours, still a nice size but not quite master anglers, before heading to shore to pack it all up. I drove home satisfied with meeting my challenge for the day and especially with such nice sized fish. What’s not to love about these gentle giants? 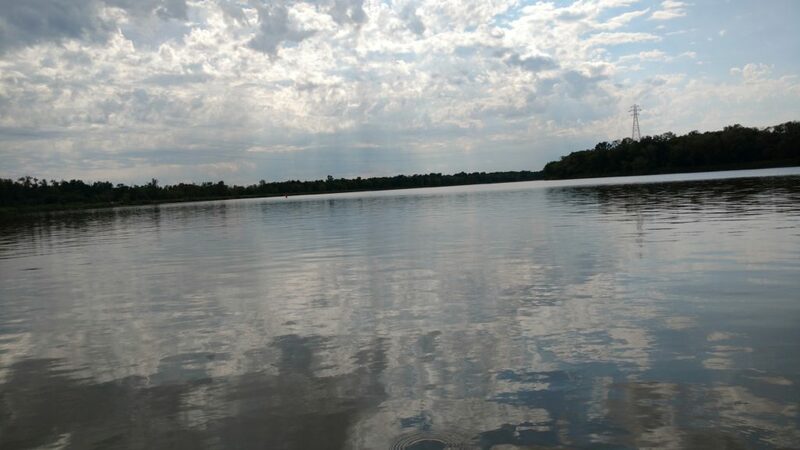 A goal completed, a day on the water with no one else in sight, and a mess of great sized catfish. What else could a guy ask for? See my latest trip to Red! Now thats just a great story, great pics, and great fish!! !